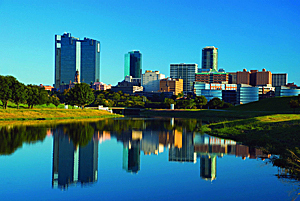 Ft Worth, "The City of Cowboys and Culture"
welcome you to GeoWoodstock XVII! This year's event will be held at the Amon G. Carter Exhibit Hall in the historic Will Rogers Memorial Center. 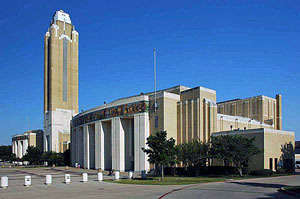 Established in 1936 during the Texas Centennial, the Will Rogers Memorial Center now attracts in excess of 2 million visitors each year to the Cultural District and plays host to an extensive variety of cultural, corporate, educational and sporting events including many international-level equestrian and livestock shows including the Ft Worth Stock Show and Rodeo every February. The City of Cowboys and Culture is the 16th largest city in the United States and is one of the top tourist destinations in Texas. Ft Worth is home to the Stockyards National Historic District Featuring western heritage, including daily cattle drives, a year round rodeo and the world's largest honky-tonk. 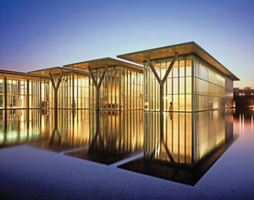 It's Culture District contains five world-class museums. The vibrant, tourist friendly downtown area features Sundance Square Plaza, filled with local shops and restaurants. Ft Worth was named one of America's Dozen Most Distinctive Destinations and voted One of the Most Walkable Downtowns in the U.S. There's much more to come so log your "Will Attend"
and put it on your Watchlist to get all the latest updates. And for more information, check out the links below!